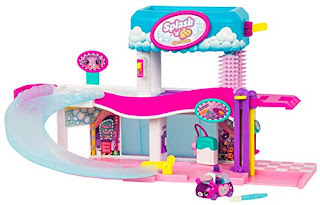 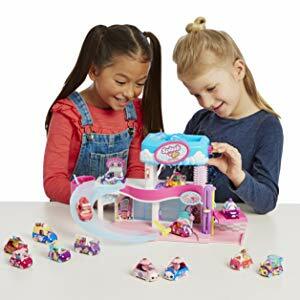 Amazon has the Shopkins Cutie Cars Splash ‘N’ GO Spa Wash on sale for $15.98, down from $29.99. 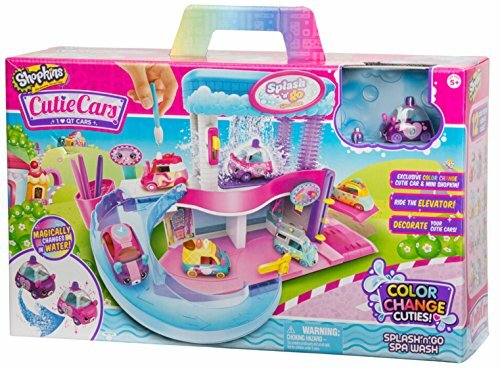 Ride the elevator to the spa wash on the second floor, fill the spa wash station with warm water and release the shower to reveal the patterns hidden underneath your Color Change Cutie Car. After visiting the spa wash, stop at the deco station to decorate your car with the deco brushed and take the ramp down to the scent and dry station on the first floor. 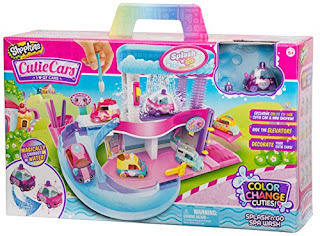 Use warm water to reveal hidden patterns and icy cold water to transform it back to its original pattern.